How Much House Can You Get for $1 Million? Find out Now on MilitaryByOwner! Care to fantasize about high-end real estate? Picture yourself sauntering down an elegant staircase. Imagine the views from limitless windows. Dream of a private dressing closet, roomy enough for a chaise lounge. It all could be yours! 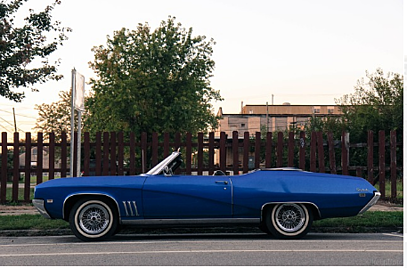 Gas up the convertible and grab your Wayfarers. We are hitting the road in search of homes listed on MilitaryByOwner for one cool million. Let's take a tour across the country! Skirting near the calm waters of San Diego’s bay, we’ll follow Rosencrans Street up a few miles from Naval Base Point Loma. Amidst the Liberty Station neighborhood, we’ll tour this cup of California sunshine. On trend with SoCal glamour, this 3-bedroom, 2-bath abode is filled with light from enchanting windows. The shiny granite counters and shimmering stainless appliances welcome even a novice like me to cook up a feast! We’ll walk off calories later, as this 2800 square foot corner lot home is nestled conveniently near a variety of shops, cafés, parks, and beachy trails. 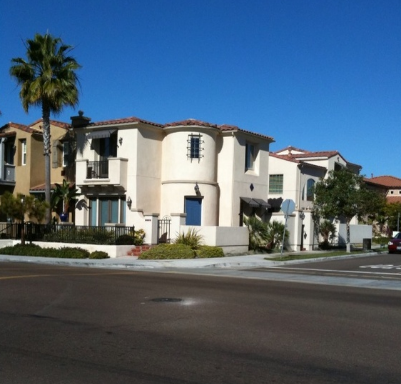 We could easily embrace life in “America’s finest city” with this million dollar property. Saddle up! It’s high time we mosey to a million dollar estate near Joint Base San Antonio. 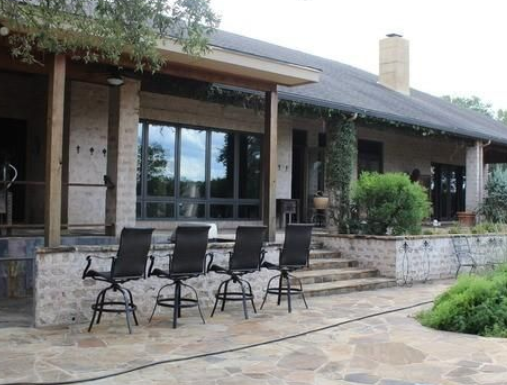 Located in the heart of Texas Hill Country, we’ll bunk at this private 10+ acre horse property with plenty of room to roam. We’ll savor Tex-Mex entrées from the gourmet kitchen in the well-appointed formal dining area. Or, dine with casual elegance in the lush outdoor patio space. After a dip in the refreshing waterfall pool, we’ll retire to one of the 4 bedrooms with 4½ baths amidst this 5500 square foot retreat. With this Boerne beauty of a home, we’ll truly enjoy the luxuries of Lone Star style. While yearning for acres of land and yet having wanderlust for the beach, our next stop in Florida blends our two wishes into one. With emerald green waters and sugar white beaches nearby, we agree--this 15 acre Panama City area property is a million dollar dream! Just 10 miles from Tyndall Air Force Base, this 3400+ square foot waterfront bayou estate includes a full dock with 2 boat lifts and stunning water views. 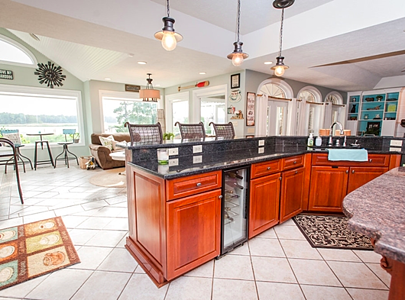 After a day in the sun, we’ll chill indoors in this 4 bedroom 4½ bath manor. Perhaps we’ll watch a movie in the theater room with the top notch projection system and custom surround-sound acoustic features. Or, maybe we’ll delight in the spa-inspired master suite, with head-to-toe showerheads and a luxurious soaking tub. 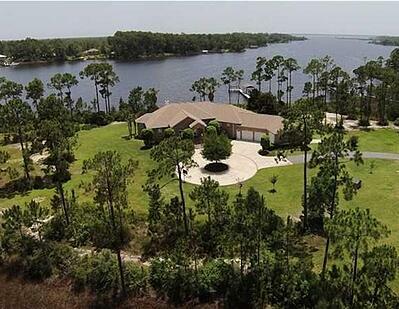 No matter our plans, we are sure to be pampered with this Sunshine state acreage. Our road trip continues North to the “mother of Presidents,” the state of Virginia. A short commute from Joint Base Langley-Eustis, we’ll find a million dollar estate overlooking the Warwick River and Balthrope Marsh. We’ll invite the whole family to the Newport News area to gather on the deck, patio and outdoor living space of this one-acre property and 4500+ square foot home. After a sunset ride on the water, we’ll stow the boat in the lift at the private dock just off the backyard. Rallying indoors, we’ll take a seat at the granite kitchen bar where we’ll toast to good times with a favorite from the in-island wine cooler. Amidst the 5 bedrooms and 4 baths, there is plenty of room for family, friends, and memories in this Virginia mansion. Traveling further up the coast of Virginia, we’ll take a gander at a million dollar nest in Old Town Alexandria. As we stroll up the red brick sidewalk, I’m drawn to the Colonial appeal of the shuttered 12 over 12 windows of this row home. Meanwhile, my spouse is thrilled with the attached 2-car garage, which means no worries with parking in this historic area. 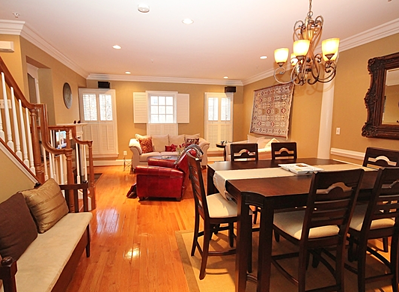 With 3 bedrooms and 3 ½ baths, this 2700+ square foot home has a warm and inviting feel. On the 4th level, we discover a rooftop terrace, loft area, bath, and bedroom with built-in dressers near the gabled dormer windows. With bicycle routes, timely bus service, and access to the convenient Metro, there’s no need for city driving from this property. The ease of public transit means the commute to Mark Center, the Pentagon, Joint Base Meyer Henderson Hall or other Capital District assignments may be much less stressful. Additionally, with shops, café, and a harbor area nearby, we’ll quickly make the most of our time in the Nation’s Capital. **Note: These homes are no longer listed, but be sure to check current listings for similar properties. From the West Coast to the East Coast, we’ve explored a few of the higher-end listings around the U.S. brought to you by MilitaryByOwner. With these million dollar dreams in mind, we hope you find serenity in the splendid things of life...wherever you may reside! Want to stay updated on the latest news from MilitaryByOwner?